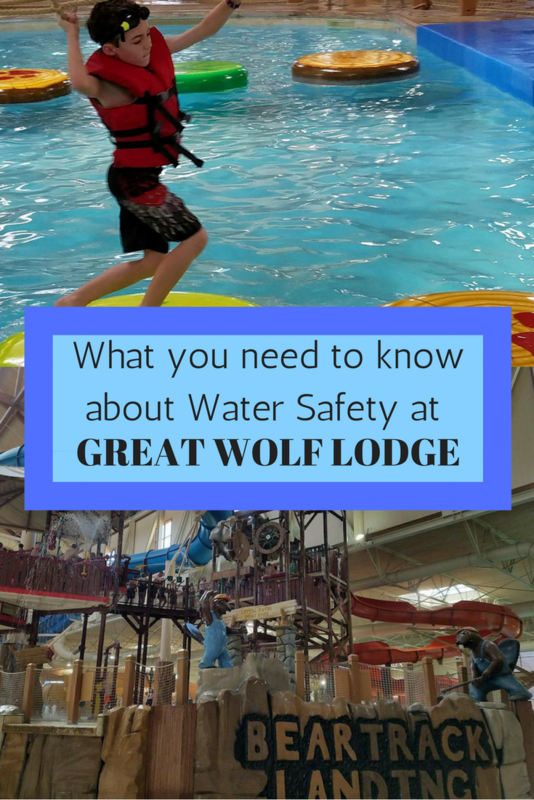 Our Research TravelingMom recently visited Great Wolf Lodge and had some concerns about the water safety precautions at the water park. 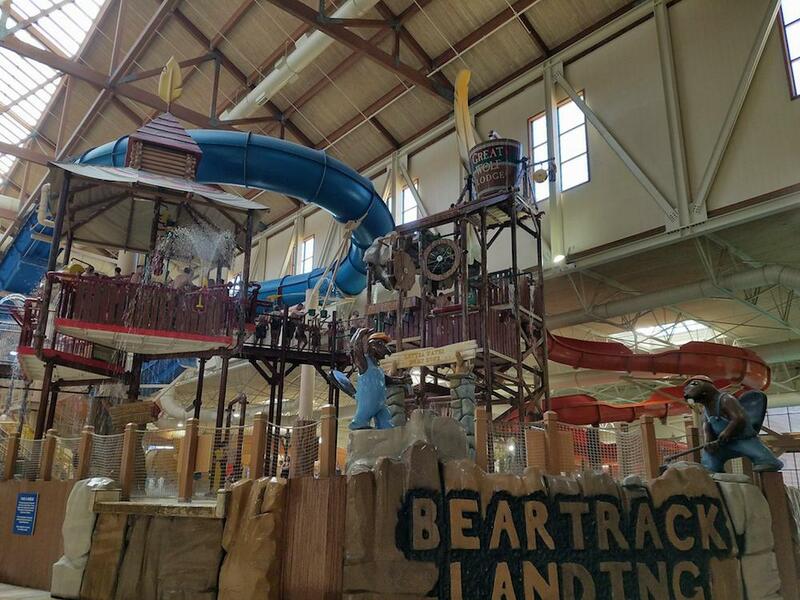 She has the scoop on what you need to know before you hit the water at Great Wolf. It pains me to share this, but I have to be honest. Even though both of my boys have had several rounds of swim lessons, they just haven’t taken to them. More concerning than the fact that they haven’t been able to pick up the swimming is the piece that they think they are good at swimming. So, heading into a water park with very excited, very overconfident children can strike fear into any parent. 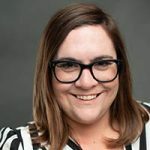 As we geared up for a trip to the waterpark that boasts 80,000 gallons of fun, and water, I couldn’t help but feel anxious not knowing what to expect from a day in the water. We knew Great Wolf Lodge would be fun, but would it be safe? My mind was instantly put at ease when I saw a large rack of life vests. There was a sign indicating which color vest fit which age/size of child. Given that I knew my kids and their swimming ability, I quickly fitted them for vests. I told them that they were to keep them on until we left. Surprisingly, they didn’t argue with me about keeping them on. Upon walking into the water park at Great Wolf Lodge, we were greeted by friendly staff members ready and willing to help. There is a height chart with different colors indicating which waterslides your child can go on solo. Once your kiddo has been measured, a corresponding wristband is given. This makes it easier for the staff and the child to determine which ride is safe for a person of his size. 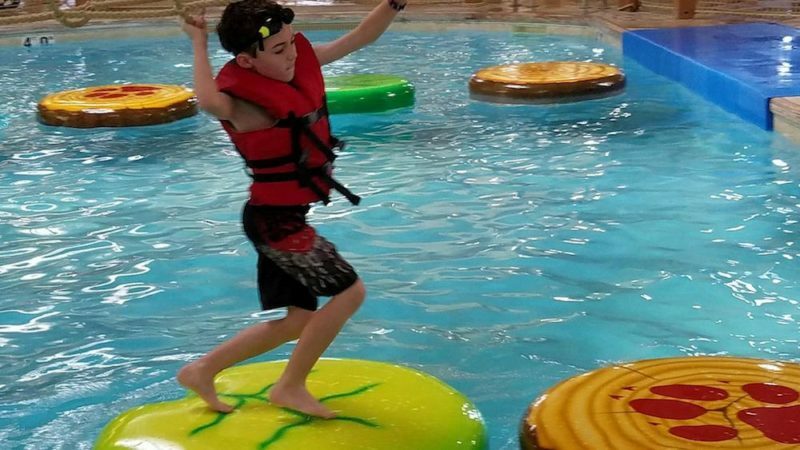 Becoming a lifeguard at Great Wolf Lodge isn’t as easy as passing the standard lifeguarding test. During our visit before the waterpark was opened to the public, we saw 120 lifeguards attending a mandatory training. Each month all of the lifeguards at Great Wolf are required to go through an additional 4 hours of training. The trainings are all in addition to being CPR and first aid certified. If your kiddos are still fairly young and aren’t quite ready for the bigger water rides, don’t worry. There is still a lot to do. There are small waterslides in fairly shallow water, shorter basketball goals in a manageable depth. Additionally, there is a play structure with buckets of water to dump and a fort to explore. If your kids are anything like mine, be prepared to float down the lazy river for a while! Great Wolf Lodge really goes the extra mile to ensure safety in an environment that can potentially have dangers lurking. They sure put this mama’s nerves at ease! 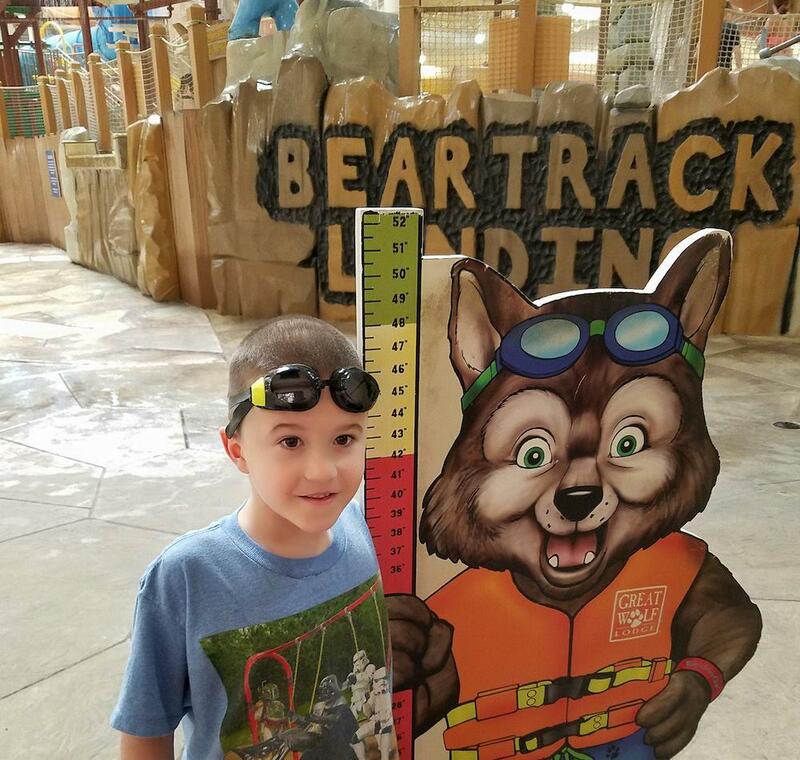 Take a look at our First Timer’s Guide To Great Wolf Lodge to get a more comprehensive feel for what a Stay at Great Wolf is like!